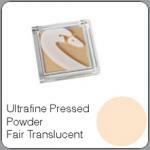 Shine control Face pwder which gives a matte velvet finish. Perfect for retouching and repairing. CI 77891 (Titanium Dioxide), CI 77019 (MICA)).